Moraine Creek might be one of Alaska's best fly-out fishing and photographic experiences. You can expect to see lots of non-human fishers as bears are very plentiful at this time of the year. They are here for the sockeye. After watching a bear sow and her cubs chase fish for a while I climbed up the 60 foot bank of the creek to look straight down on its main channel. 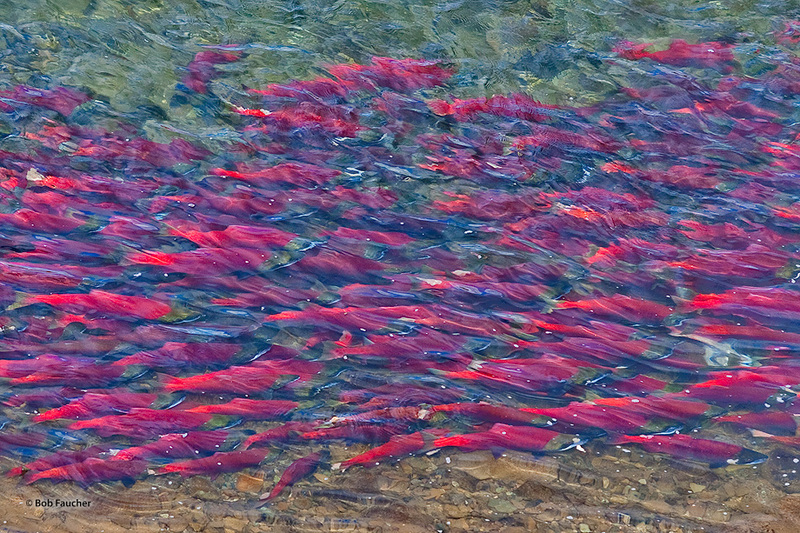 It came as no surprise that I saw sockeye salmon filling the channel in Moraine Creek. Photo © copyright by Robert Faucher.